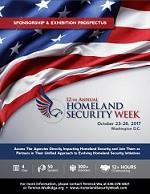 Why Sponsor at Homeland Security Week? The 13th Annual Homeland Security Week (HSW) will gather homeland security stakeholders and industry providers alike to take a deep dive into current challenges and future requirements necessary for numerous government agencies, all directly or indirectly responsible for U.S. homeland security, to facilitate a complex, joint, multi-layered plan that will combat the evolving challenges our country faces - all while ensuring the support of the communities they serve. HSW will offer industry providers the unprecedented opportunity to showcase their capabilities and network with the most influential collection of stakeholders under one roof, at one time! Take a look at the 2018 Sponsorship & Exhibition Prospectus so you can get an idea of all the different individuals you will gain access to by becoming a event partner! 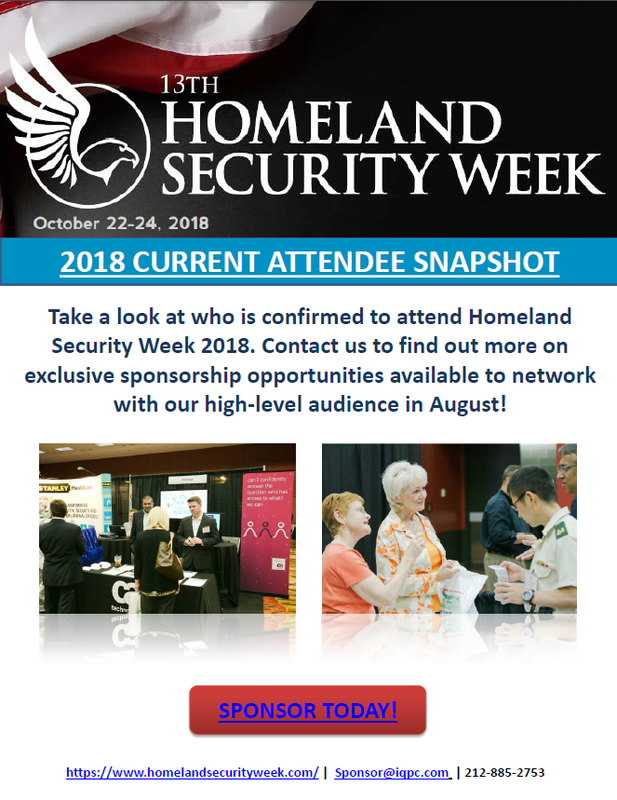 Take a peek at who will be onsite at Homeland Security Week 2018 with our Current Attendee Snapshot. Contact us today and find out more on exclusive sponsorship opportunities available to network with our high-level audience at this year’s event!. The President’s 2019 Budget requests $47.5 billion in net discretionary budget authority for The Department of Homeland Security, a $3.4 billion increase from 2018 annualized CR level. The infographic report summarizes budget breakdown and next year's key highlights project of the top agencies in the DHS.